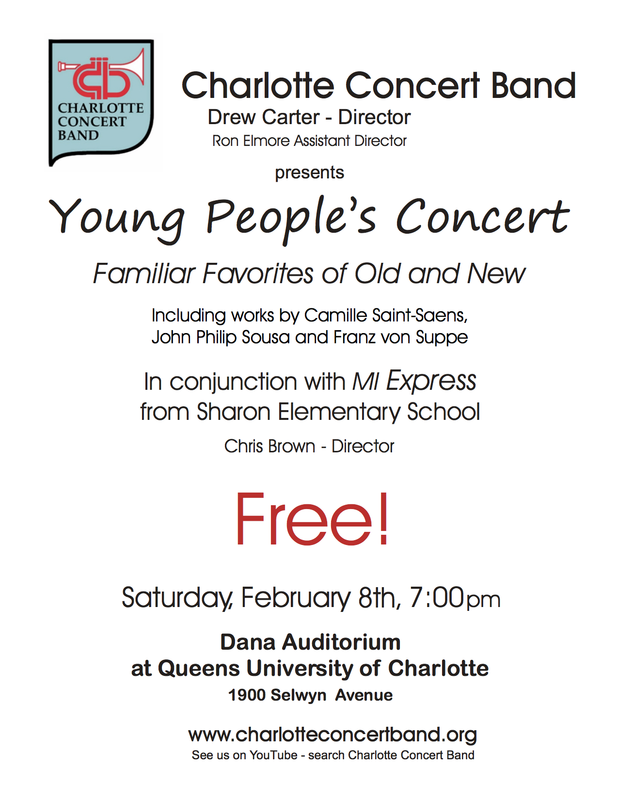 The concert will be in conjunction with the MI Express Choir, which is under the direction of Chris Brown and comprised of students from Sharon Elementary in Charlotte. The music will include a variety of familiar favorites old and new, including works by Camille Saint-Saëns, John Philip Sousa, and Franz von Suppé. The concert starts at 7:00 in Dana Auditorium and is free and open to the public.